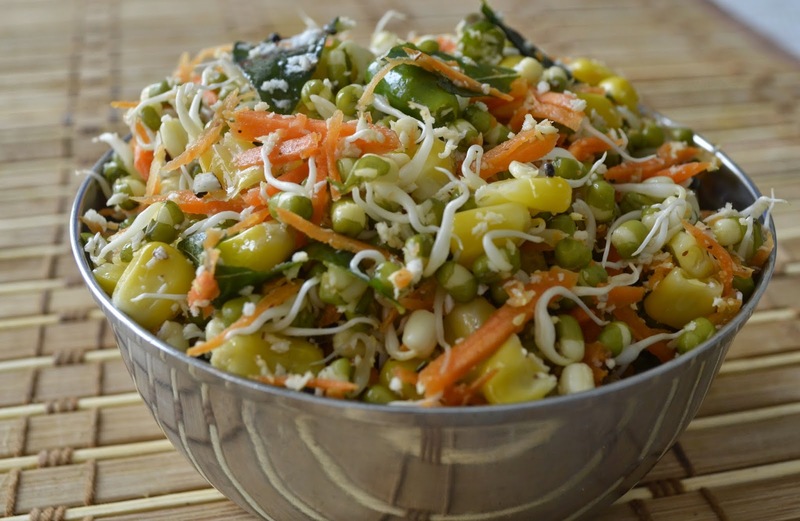 Here is a healthy, simple, easy and delicious salad recipe. Give it a try. Take all the ingredients except tempering ingredients in a large bowl. Heat oil in a pan, add mustard seeds, when the mustard seeds splutter add Green Chillies, Curryleaves and Asofoetida. Pour on the ingredients in the bowl.